Hi everyone! Eek! Two days left until winter break has arrived! It's been a wild week. In fact... Yesterday, I took an accidental nap around 6:30. Yikes. 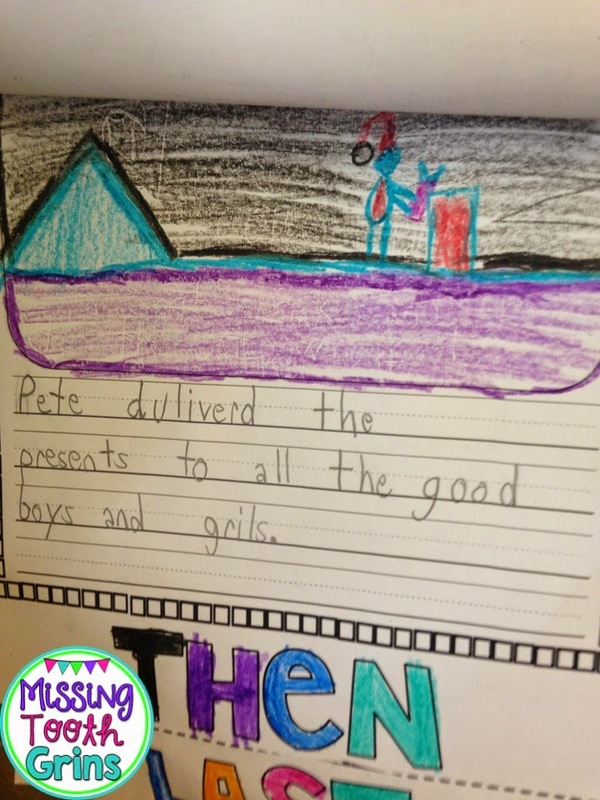 Anyway, I wanted to drop by and talk about a retelling craftivity that we completed this week. 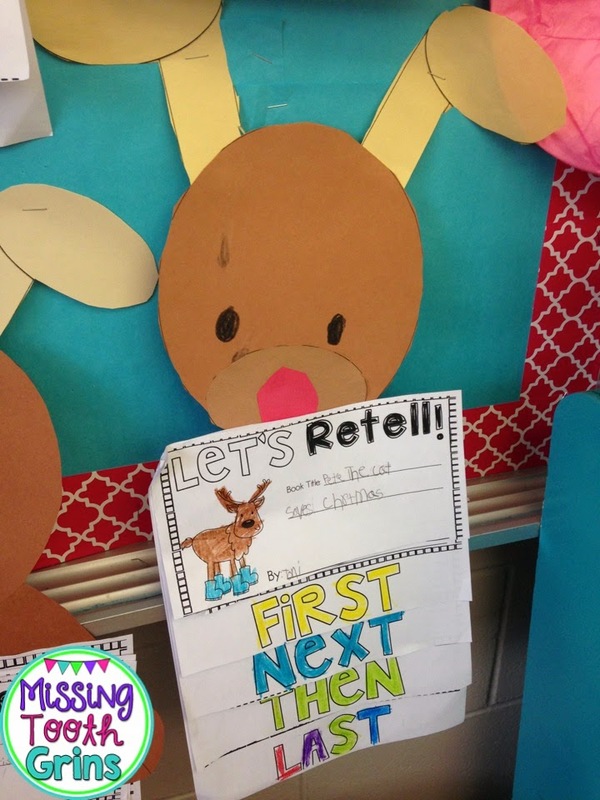 I talked about the retelling reindeer in this blog post here. 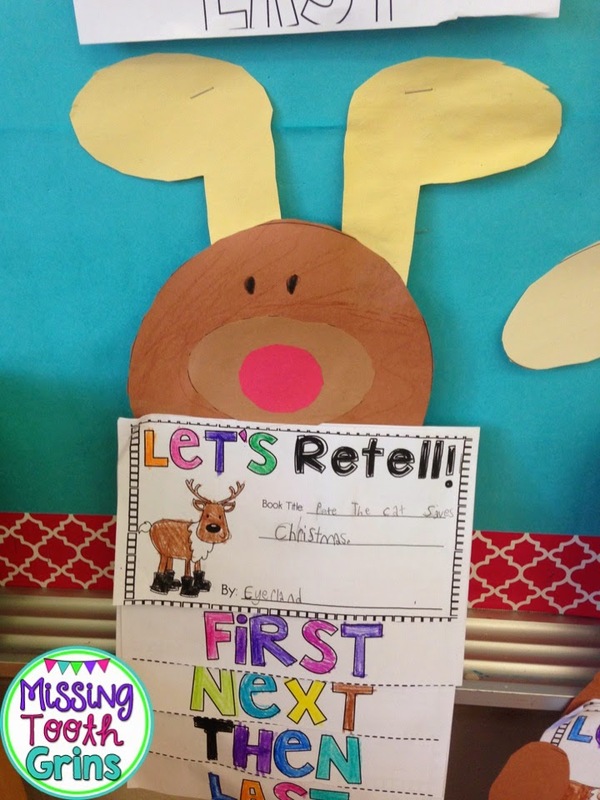 However, now that we have actually completed it, I wanted to share the kids' cutie patootie reindeers! And, I love how this one is just a little bit different. The lower placing of the nose just bumps up that adorable factor. Anyway, here's a close up of what is involved with the craftivity. 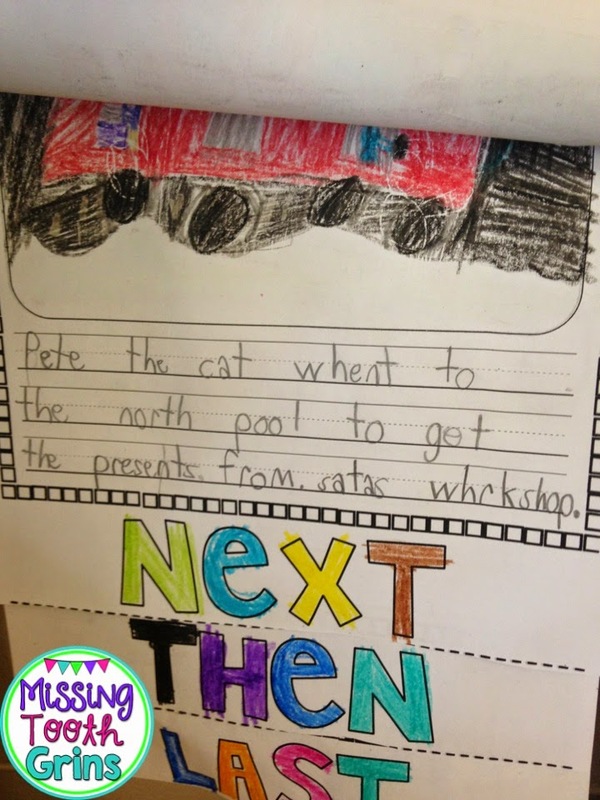 I think it's so important to combine reading and writing together in any way that you can, starting with the younger grades. 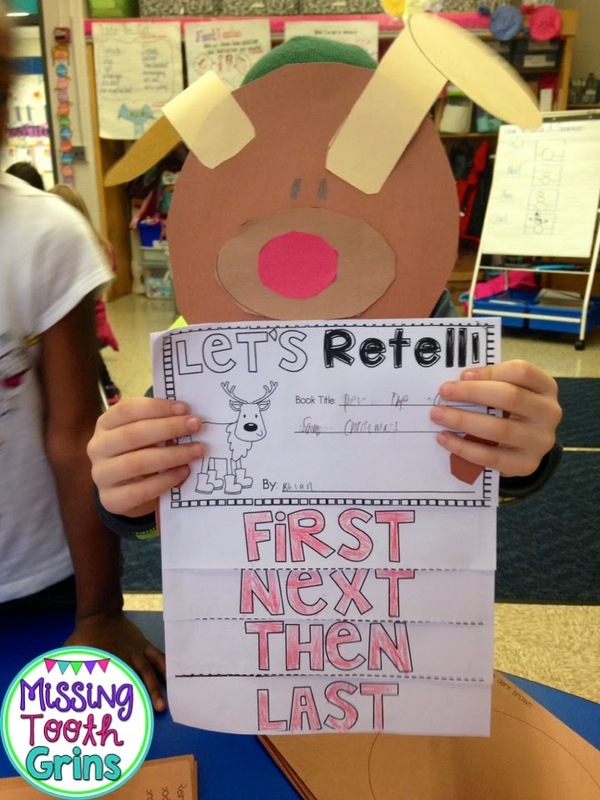 I want to keep learning fun too and being sneaky, I created this activity for fun and for learning. But shh... 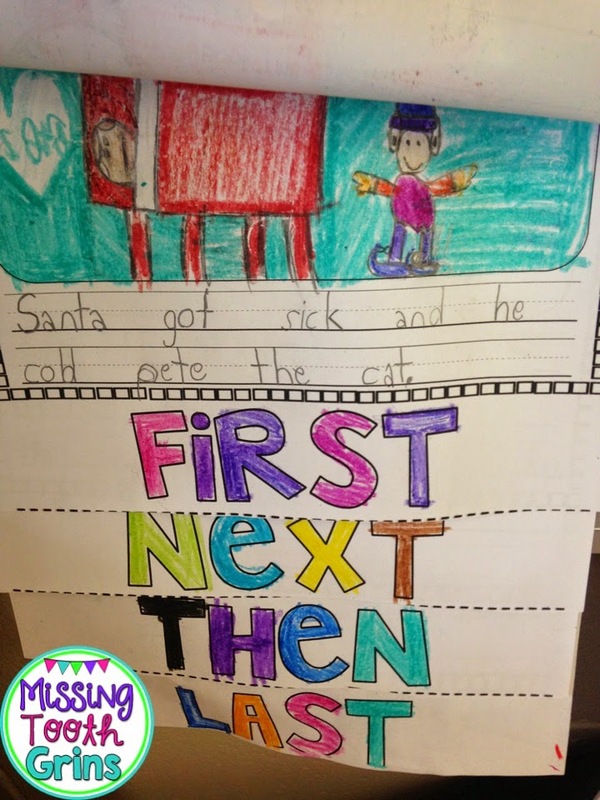 The firsties have no clue. 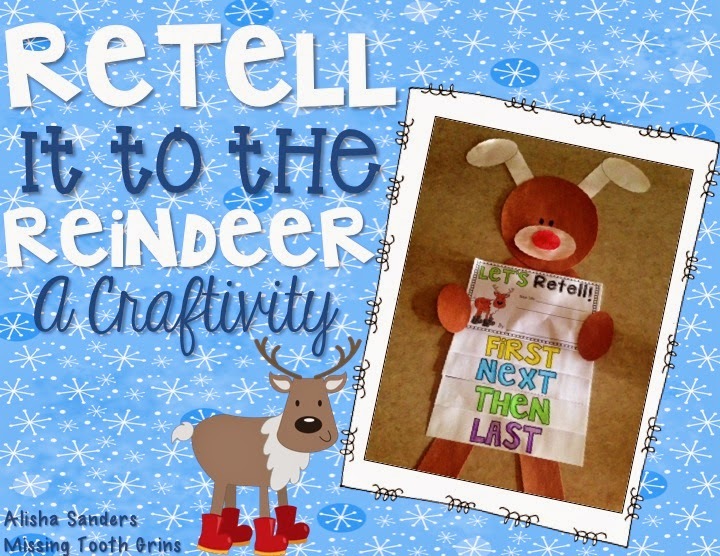 Anyway, each reindeer is holding a flipbook. 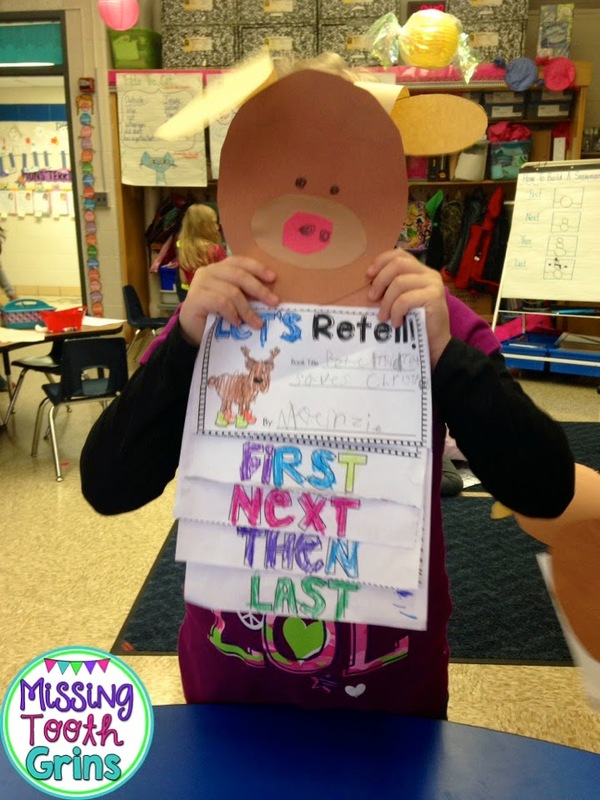 We have been learning how to retell a text for about a week and a half. Mostly, it has been in whole group activities. 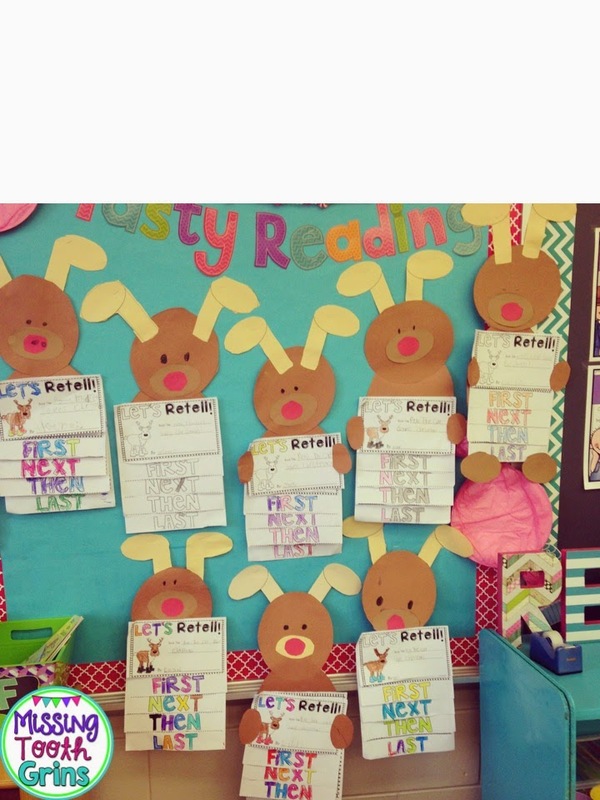 We read a book, discuss it, and chart the retell components. 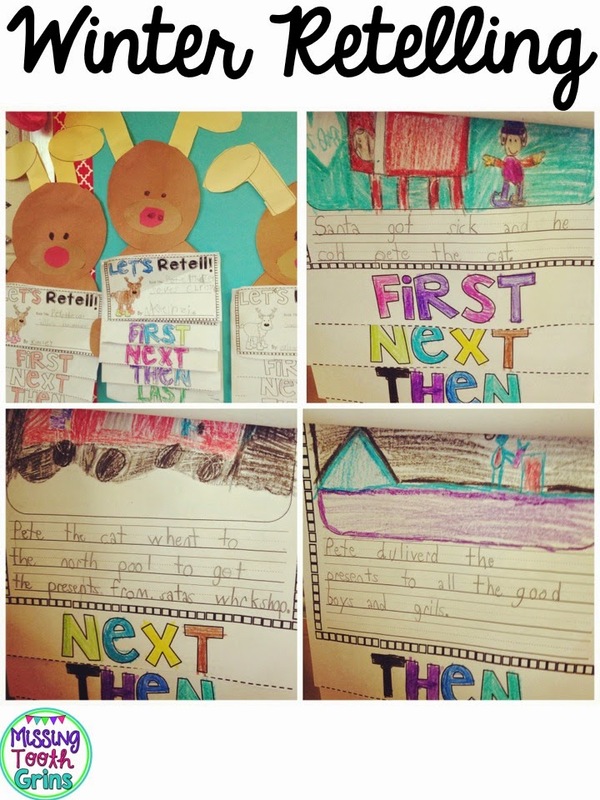 I honestly wasn't completely sure how this activity would go because we hadn't had the opportunity for the students to independently write a retell. 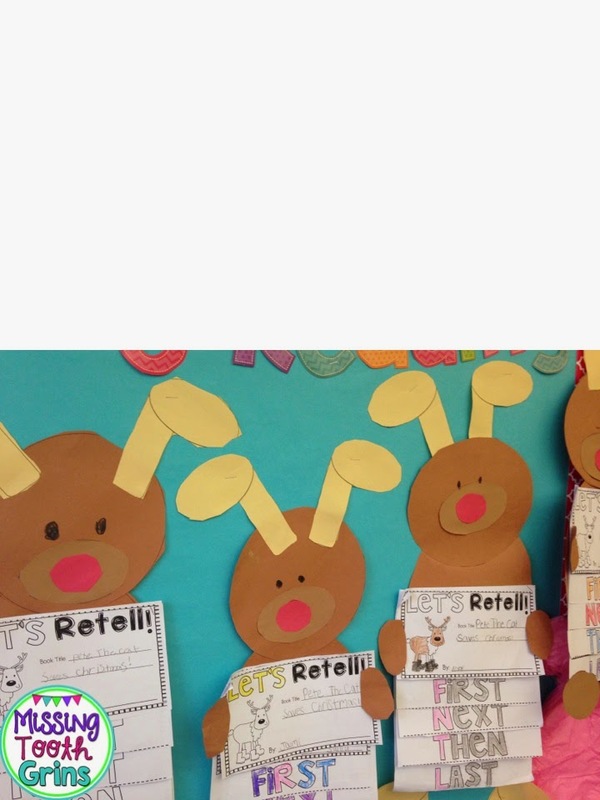 Notice anything odd about any of these reindeer? Like... How some don't have legs and hooves? Completely forgot to print those off. Yep, they're included in the pack. But... Not on our reindeer. 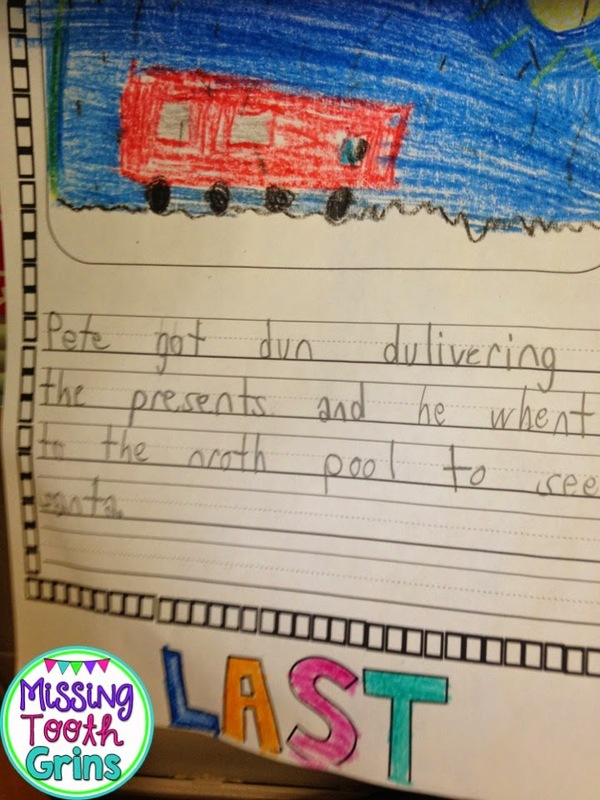 My kids are so sweet though. They told me all humans make mistakes and most kids made their own! If you're interested in this activity, click on the picture below! It's perfect with any Christmas or winter book!